Business Formation | Platt & Westby, P.C. Most tasks are completed in the business world by way of contracts. Therefore, merely having savvy knowledge of business is not enough to place you above the rest of your peers. A good business lawyer is essential to having a successful business. A lawyer can protect you in all contract matters from compliance with the laws of incorporation, to protecting interests of members or shareholders, to relieving your business from contract liability. A lawyer can even negotiate on leasing space for you, regardless of “standard language” used in the contract. The idea is to put you and your business in the best possible position. 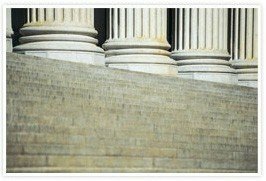 One of the largest assets of partnering with a comprehensive attorney is to keep proactive and out of the courthouse. Once a complaint has been filed, the damage has already been caused and all action taken from there is reactive. Building a great relationship with a reliable attorney is capable of doing just that. In a society where we place such great weight on contracts, it is important to have an attorney working on your side and knowledgeable about your goals and your business in order to make a custom plan and assist you in preventing any harm from coming your way.